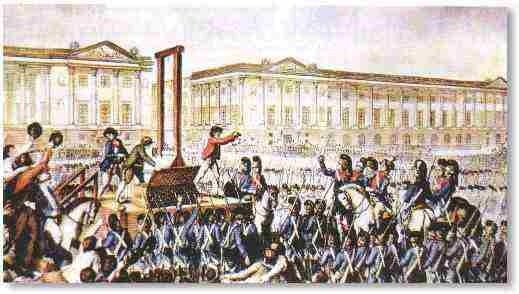 The successful uprising of the French people over the period of 1789 to 1799 had a number of wide reaching effects. The most immediate change was the removal of the monarchy and the implementation of a peoples' republic which was based on a democratic style of rule and a constitution. The Revolution also greatly empowered the middle and lower classes who before were under represented in government and were living in poverty. This empowerment occurred because during the Revolution, many nobles were displaced from their homes, stripped of their titles, and/or killed while the merchants and peasants who had previously been plagued by famine began seizing power. This reduced the influence of the upper class while increasing it for the middle and lower classes and was a massive step in equalizing the social hierarchy. 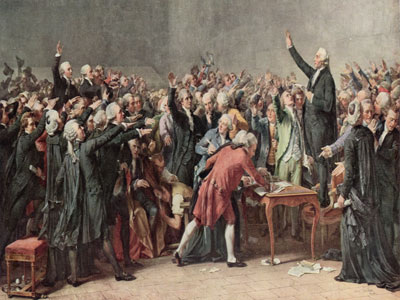 In addition to the overthrowing of their own government , the French revolution also resulted in the revolutions of other countries across the globe. This is because of a massive weakening of France which was at the time one of the world powers, and seeing the success of the French people, countries such as Haiti and Mexico among others, began turning the wheels of their own bid for freedom from their controlling nations. 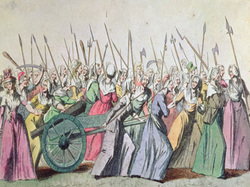 Another effect brought on by the French Revolution, was a sudden jump in the amount of power that women had. As a general statement, females had very little involvement with politics and few to no rights prior to this point in time. During the revolution however, women were responsible for a large part of its success. This did not win them political rights, but it did earn them a greater amount of influence among society as well as brought forth a number of feminist rights activists and set the stage for future generations of feminists to push forward and eventually obtain those privileges.